Tpl2 Kinase Inhibitor is a potent, selective, reversible and ATP-competitive inhibitor of Tpl2 kinase with IC50 of 50 nM. 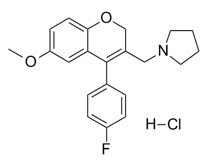 Roquinimex (Linomide; PNU212616; ABR212616;LS 2616;FCF89) is a quinoline derivative immunostimulant which increases NK cell activity and macrophage cytotoxicity; inhibits angiogenesis and reduces the secretion of TNF alpha. S-99 is a novel inhibitor of LPS-induced TNFalpha release. Ectoine is an inhibitor of protein misfolding. It acts by significantly down-regulating Syp, Mapk3 and Tnfα and up-regulating Vegf in rat's hippocampus, prohibiting insulin amyloid formation in vitro. CPI-1189 is a TNF-a release inhibitor potentially for the treatment of sciatica and postherpetic neuralgia. 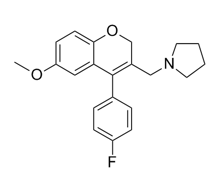 K-7174 dihydrochloride is a novel cell adhesion inhibitor; inhibits the expression of vascular cell adhesion molecule-1 (VCAM-1) induced by either IL-1β or TNF-α.